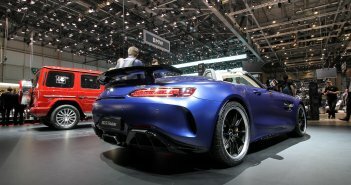 Last year in Geneva Mercedes-AMG presented a concept of a future AMG GT fourdoor coupé. 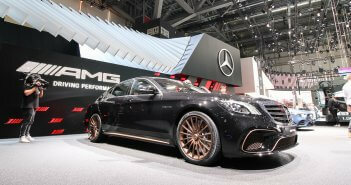 This year the production version is shining at a new edition of the Geneva International Motor Show. Due to the concept of last year, the design is not a surprise. It could be seen as a mix between the Audi A7 and Porsche Panamera but the combination still gives it a unique look. The name of the car stresses the link with the AMG GT coupé but is rather banal, but straightforward: AMG GT 4-Door Coupé. Some could be confused as Mercedes just launched a new CLS, the mother of all fourdoor coupés. However the new GT 4-Door Coupé will differentiate itself by more powerful engines and a sportier character. That reasoning is valid for the GT 63 and GT 63 S, but the GT 53 is as powerful as the new CLS 53 AMG with EQ boost function. Moving to the interior the combination of the centre console of the GT Coupé and the dashoard of the CLS stands out. Operating the automatic 9-speed gearbox is done via a gear stick on the centre console likewise the GT Coupé. Another detail that underlines the sporty character of the AMG GT 4-Door Coupé. 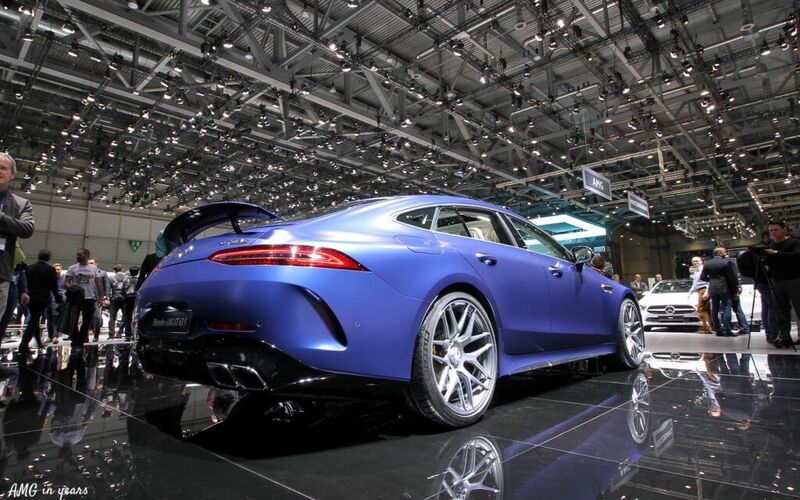 The exterior design can be personalized with a Night Package (black accents), a Chrome Package (chrome accents), a Carbon-fibre Package or with the Aerodynamical Package with fixed rear spoiler. As mentioned earlier, three different motorizations are available. 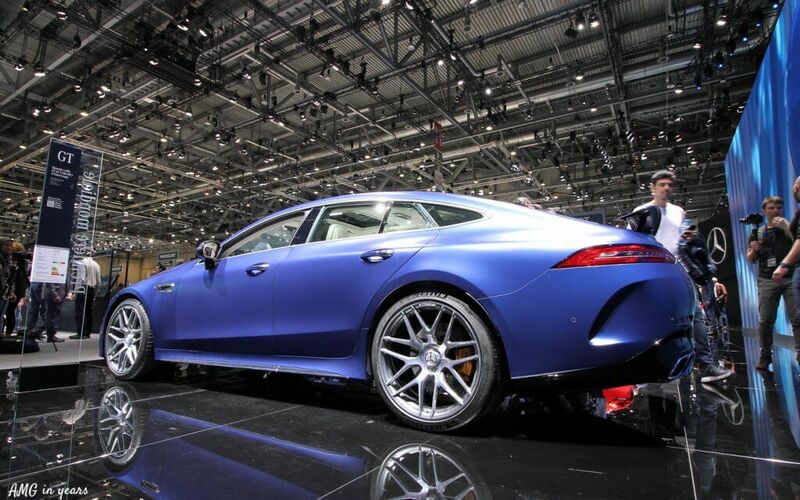 Topmodel is the GT 63 S AMG that can count on 639 hp from the 4,0 l V8 M177. Thanks to 900 Nm the performance is unseen for a four-door saloon: 0 to 100 km/h in just 3,2 seconds and a topspeed of 315 km/h. 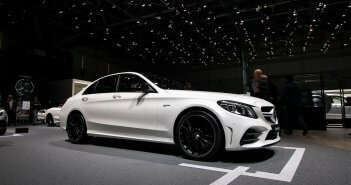 The GT 63 AMG with 585 hp is just 0,2 seconds slower on the regular sprint number. All GT’s come standard with 4MATIC+. An electormechanical operated clutch connects the permanently driven rear axle variably with the front axle. The AMG computers continuously calculates the best possible torque split between the axles based on the driving conditions. Next to that, the GT 63 S comes as only model standard with an electronically operated lock differential at the rear which should deliver extra grip. The 4MATIC+ set-up allows a drift modus that changes the AMG GT in a purely rear-wheel driven car. Worth mentioning is the steel suspension for the GT 53, but the V8 models have an airsuspension with multiple chamber, aslo know as AMG RIDE CONTROL+. Remarkable are the active engine mounts that enable a soft connection to the powertrain for high comfort and a rigid connection for optimum driving dynamics (standard on the GT 63 S). For the first time ever AMG uses turbine wheels mounted in anti-friction bearings in the twins-scroll turbochargers. Intelligent AMG Cylinder Management deactivation is also present, in normal words: cylinder deactivation (cylinder 2, 3, 5 & 8). Following points were also optimized: the spray-guided direct petrol injection with piezo injectors, the aluminium crankcase, the camshaft adjustment, the air-water charge air cooling, the alternator management and the ECO start/stop.